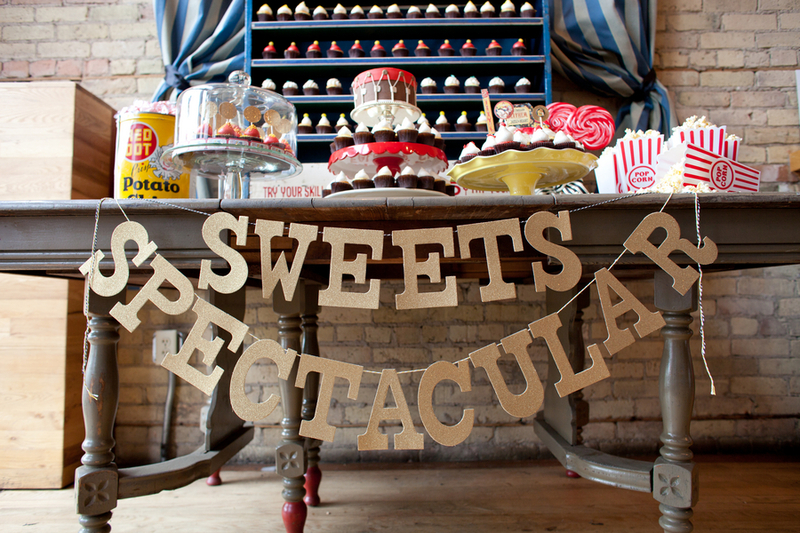 Earlier this week Erin Johnson Photography brought us a lovely nature-inspired dessert table. 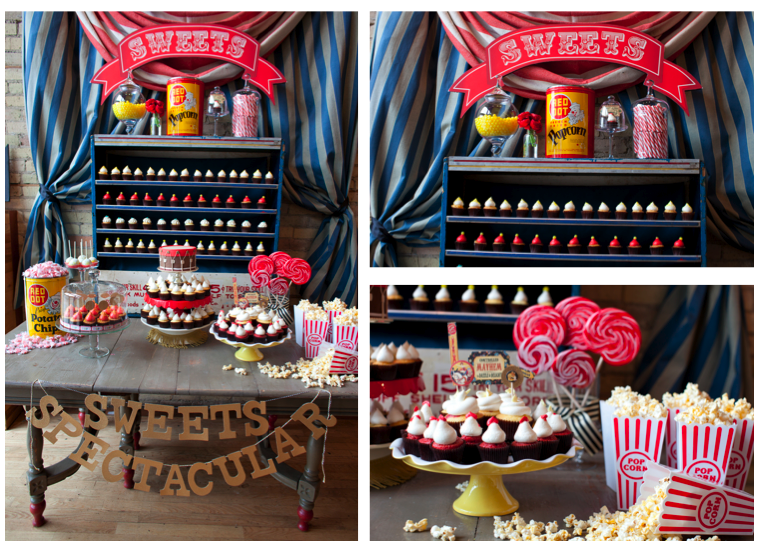 Today, I'm thrilled to share their bold and fun "Sweets Spectacular" styled table. 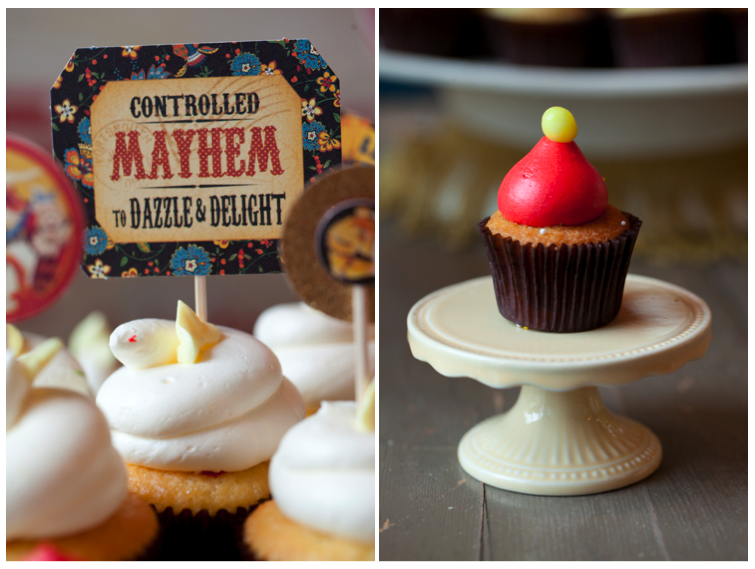 Great inspiration for any party that you want to add fun to. 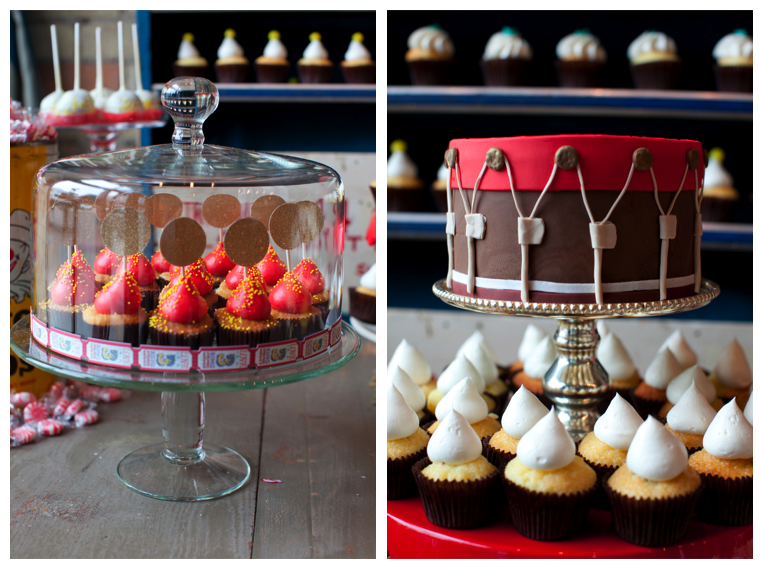 I love the way they used two different colored striped curtains for the backdrop, and those little cupcakes look like party hats all lined up ready to go!